We are committed to providing outstanding tours and an outstanding guest experience. Our commitment to you is to share the very best tours that we have created together with you. Since our business was formed we have been privileged to take thousands and thousands of guests on one of our signature tours. This journey has enabled our knowledgeable, professional, affable Tour Guides to meet a incredible people and we are continually expanding our business to meet the needs of our customers. 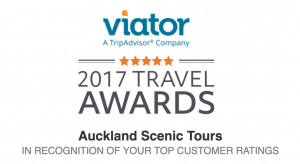 TripAdvisor & Viator Top Rated Award in the 2017 Travel Awards. 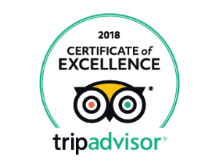 To see for yourself why we have been lucky enough to win these awards, take a look at the reviews on our TripAdvisor page.